Brian has been involved in commercial construction since 1978, working in his father’s business doing everything from sweeping floors to operating heavy equipment to carpentry work. After finishing his BA degree in Construction Technology at Purdue University, he spent five years working as an estimator and project manager for a general contractor in Fairfax, Virginia before moving to Raleigh in 1989. Prior to starting McKenna Construction with Jim Noble in 1995, Brian worked as an estimator/project manager for Jedco Construction in Raleigh. Under his leadership, McKenna has grown from doing small interior fit-ups to multi-story ground-up projects while maintaining their initial motto of “Dedicated to Quality” in every project they do. 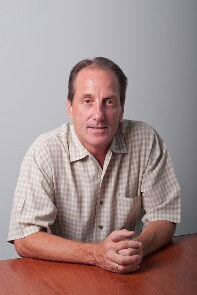 Brian works closely with clients to ensure quality and excellence in every aspect of the project, no matter the size. He is an active member of the Morrisville Rotary and currently serves on the Property Committee for The Carying Place, a local non-profit dedicated to teaching homeless working families with children life skills for attaining independent living. 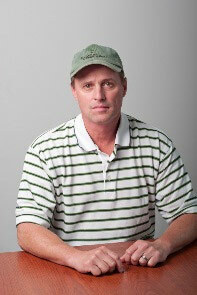 Jim has more than 18 years of experience in construction accounting, project management, and field supervision. He earned his Accounting degree from the University of Toledo in Ohio. Jim spent his childhood in Ohio and worked construction as a laborer through college. After college graduation, he worked in Northern Virginia as Controller for a small general contractor before relocating to North Carolina in 1989 to take on the position of Controller for a large mechanical contractor. 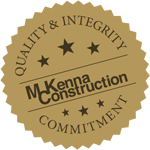 In 1995, Jim and Brian Williams (President) formed McKenna Construction Company. Jim shares Brian’s philosophy of "Dedicated to Quality" and "On Time. On Budget." Together they have assembled a knowledgeable and talented team of project managers and superintendents. From the owners on down, their goal is providing a quality product to satisfied clients. His hobbies include coaching Little League Baseball and duck hunting.